Israeli authorities have indicted iconic activist Ahed Tamimi, her cousin and her mother in a military court. The women featured in a viral video in which they accosted two IDF soldiers in their home village. 16-year-old Ahed, her mother Nariman and Ahed’s 20-year-old cousin, Nour, confronted the two soldiers in the village of Nabi Saleh. 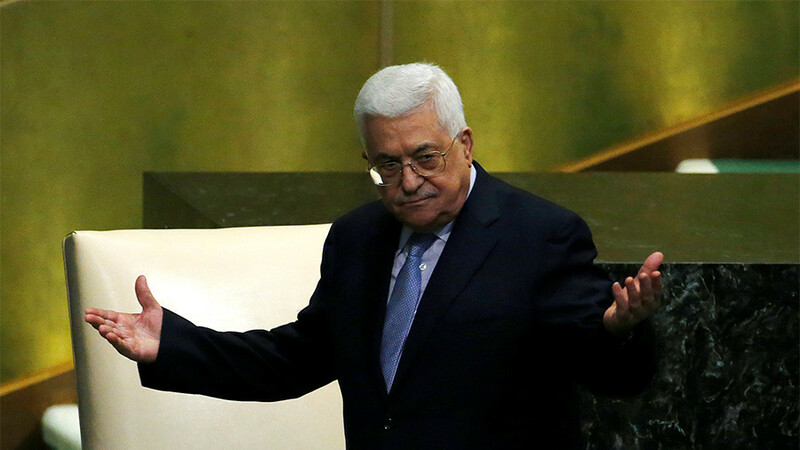 Footage of them kicking and slapping the Israelis has since gone viral among Palestinians and their supporters. 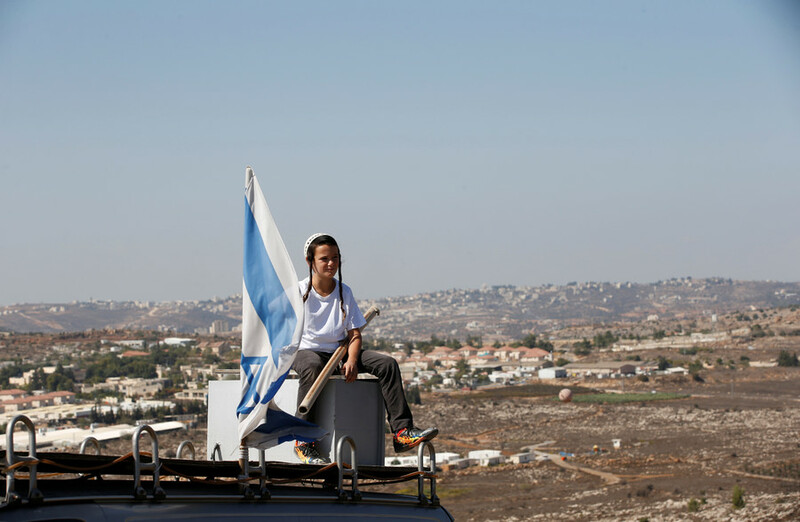 Ahed, a child protester who has taken part in previous anti-Israeli actions, has attained an iconic status among Palestinians. On Monday, Ahed and Nariman stood before a military court at the IDF’s Ofer Base, where they were indicted with aggravated assault. They were remanded in custody for a further eight days. 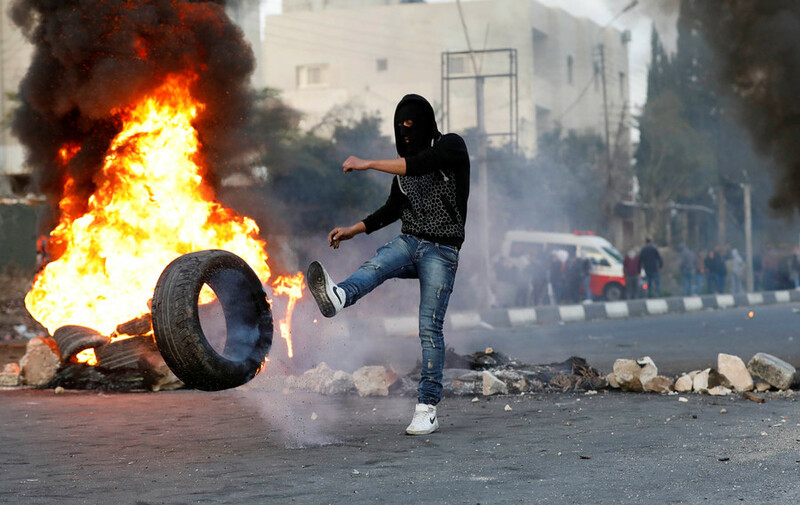 The three women had been arrested by the IDF just days after the incident in Nabi Saleh. “I am sure they want to keep her as long as possible because they don’t want the voice of resistance outside prison,” Tamimi’s lawyer Gaby Lasky told Reuters. According to the family, the confrontation happened in the yard of their home. Footage shows that Ahed was a more aggressive participant, though neither woman appears to actually intend to harm the Israeli soldiers. The latter did not respond to the kicks and slaps and eventually withdrew from the yard. 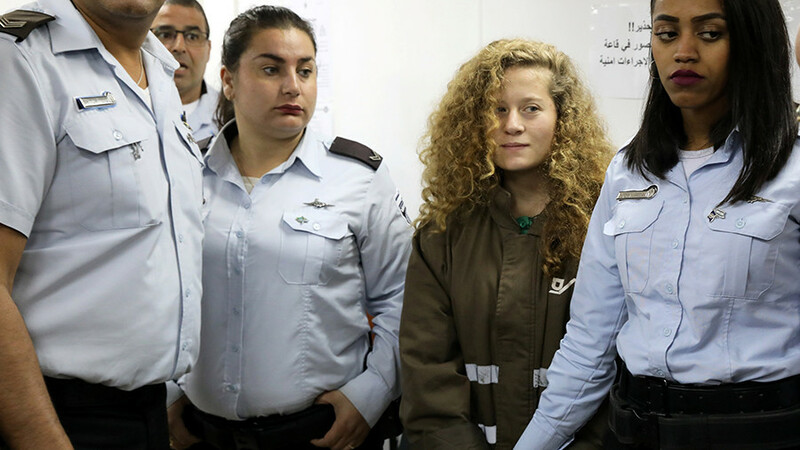 Ahed’s cousin, Nour, has been indicted with the aggravated assault of a soldier, and with disturbing soldiers as they carried out their duties, according to court papers. She has had her remand extended until Monday evening. 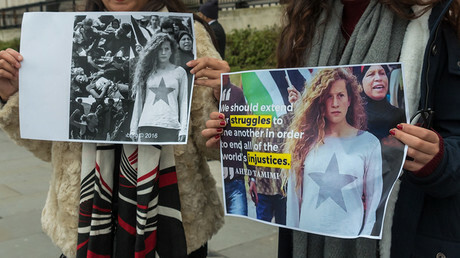 While critics say the Tamimi family used the teen Ahed as a pawn in their anti-Israeli activities, supporters of the Palestinians insist she was engaged in legitimate resistance to the five-decade illegal occupation of the West Bank. 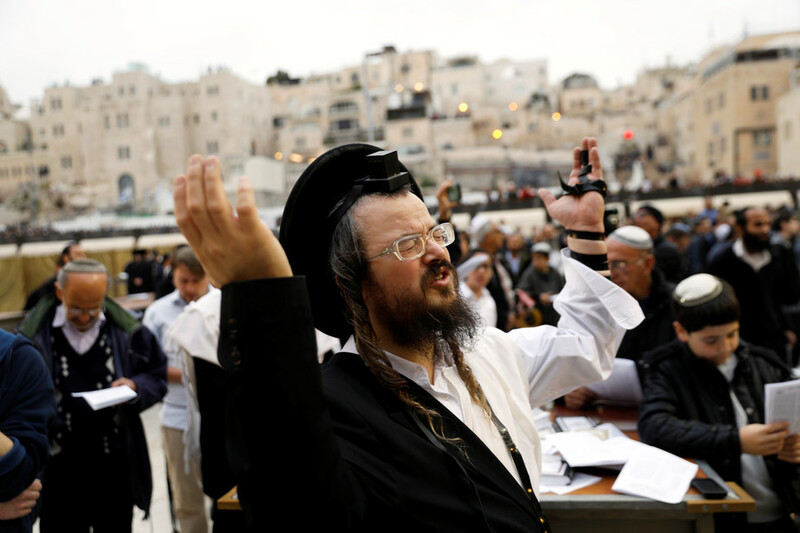 A writer in the left-wing newspaper Haaretz even compared her to Joan of Arc, the young peasant girl in 15th century France who led the French army against the invading English, and was eventually burned at the stake. Another case involving Ahed occurred in 2015, when she was filmed biting and slapping an Israeli soldier as he was trying to arrest a 12-year-old boy. 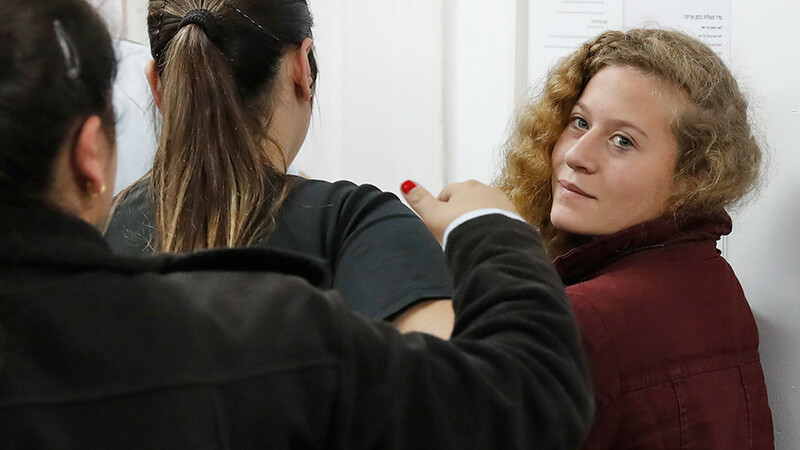 The Israeli side called it a provocation orchestrated by the Tamimis for the cameras, while some pro-Israeli bloggers gave Ahed the mocking moniker ‘Shirley Temper’ for her part in the incident. The family’s activism has taken a toll on its members. In 2011, Mustafa Tamimi was killed at a protest after being hit by a tear gas canister fired by an Israeli soldier. The soldier was cleared of any wrongdoing. Ahed’s Twitter account was deleted last week without explanation.